The YS Rajasekhara Reddy ACA-VDCA Cricket Stadium in Visakhapatnam is set to be accorded Test status after an inspection by the Board of Control for Cricket in India committee on Thursday found the venue "on par for the recommendation for Test status". 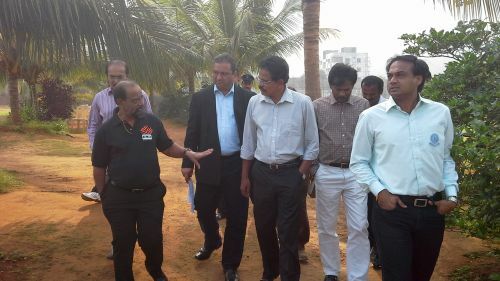 The committee, comprising IPL chairman and convenor of the BCCI inspection committee Ranjit Biswal, M V Sridhar, Director of Cricket Operations BCCI; and former Test player Gundappa Viswanath, conducted an inspection of the facilities at the Vizag stadium. “All requirements are on par for the recommendation for Test status for this venue and our report will be submitted to BCCI. Also Vizag is one of the IPL centres and will be considered for the IPL match allocation after necessary home work done,” a statement from the Andhra Cricket Association quoted Biswal as saying. The team visited the field of play, practice facilities, ground equipment, the players’ dressing rooms, umpires and match referee's room, scoreboard, television and radio commentators' room and media facilities. 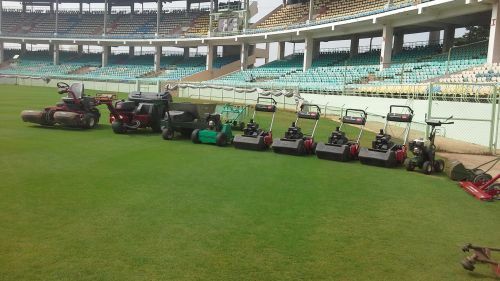 Sridhar said the venue, which has already hosted five ODIs and one T20 International, already meets the required parameters needed for staging Test matches. He pointed out that the BCCI committee only recommended an exclusive block for media personnel. "ACA already staged One-day International matches here very successfully. While hosting them [it] already met the required parameters. As far as media is concerned, recommended for an exclusive block for media centre and media box since media from local to international representation will have to cover here for multiple days," Sridhar added. 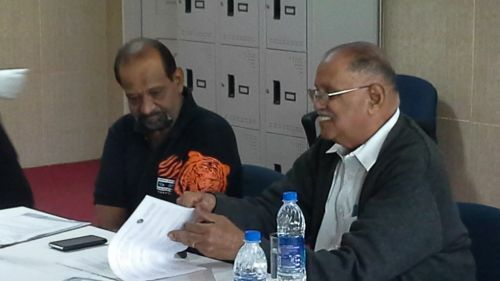 Andhra Cricket Association officials, who were present at the venue, included president DV Subbarao, Director (Cricket Operations) MSK Prasad, media manager CR Mohan and other office-bearers.